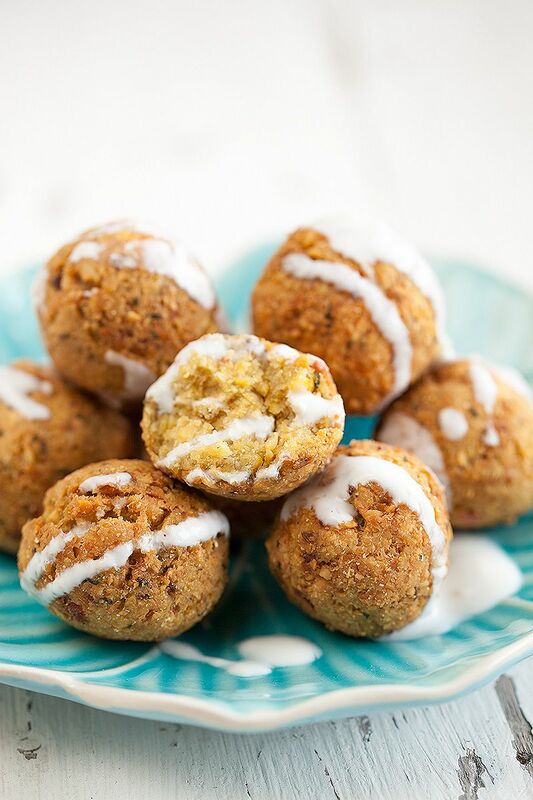 Always wanted to make your own falafel? It's full of flavors, vegetarian and it only takes a little love and time to make them. Soak the dried chickpeas in plenty of water, cold water to be more precise. They will absorb the water so after about 12 to 24 hours they will be doubled in size. Some recipes use canned chickpeas, but they are very wet so it’s hard to create a nice little ball that doesn’t fall apart during frying. Drain the soaked chickpeas and set them aside, still in the colander. This way all the extra water will disappear. Peel the garlic cloves and red onion and slice in big chunks. Remove the seeds from the red chili pepper and strip the coriander leaves from its stem. PLACE the drained chickpeas, garlic, onion, red chili pepper and coriander leaves in a food processor until it becomes a nice mixture without big chunks. Keep it mind it won’t become a smooth mixture. If your food processor isn’t big enough to hold all of the ingredients at once, just make it in batches. Transfer to a big bowl and add the spices, baking soda, lemon zest and flour. Heat the frying oil to about 180 degrees celsius or 350 degrees fahrenheit. 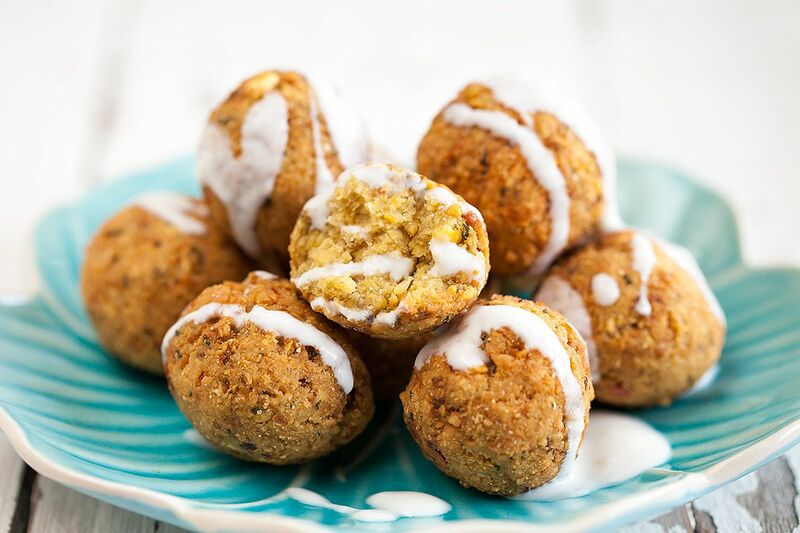 Using your hands, roll little balls from the falafel dough. 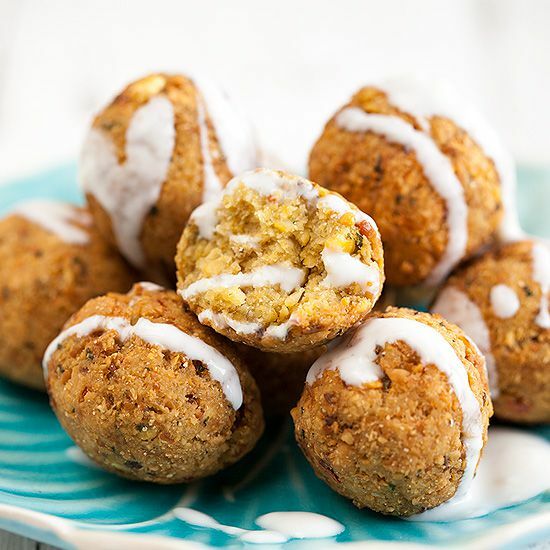 It will be a little sticky, you can add a little extra flour but keep in mind that the falafel will taste a bit dry the more flour you’ll add. Fry them for about 3 minutes, or until golden brown. Serve it with an easy yogurt sauce if you like. We just added some fresh garlic and lemon juice to plain yogurt and seasoned it with pepper and salt. Add the home-made falafel to a pita bread, with some extra garnish like red onion, tomatoes and mixed greens. Do not forget the yoghurt sauce! 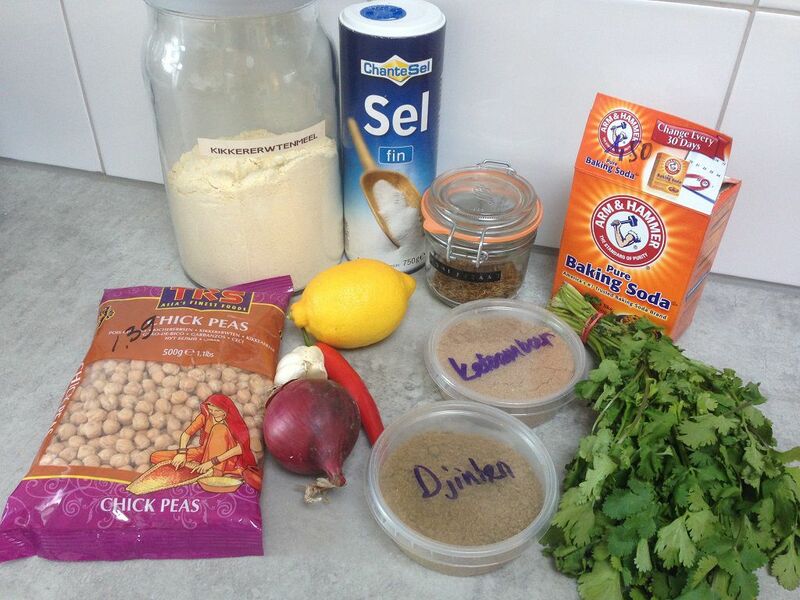 I don’t know why I never thought to use chickpea flour in my falafel. It’s a great dish. Just regular all purpose flour to help with the binding of the falafel. In my most recent batch, I made 4 dozen.